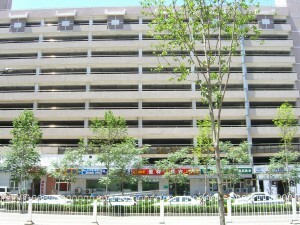 It is on the ground floor of a parking garage in the Xiyuan Sanqu area of Wangjing in Beijing. I did not eat there when I visited, since they had not officially opened for the day, but the woman inside told me they used all fresh ingredients. Most importantly, I wanted to know why they had the name “Christian” in their name. If it was not because of religious reasons, I thought maybe it was supposed to be someone’s name, but they failed to add the apostrophe and s to create “Christian’s Pizza”. 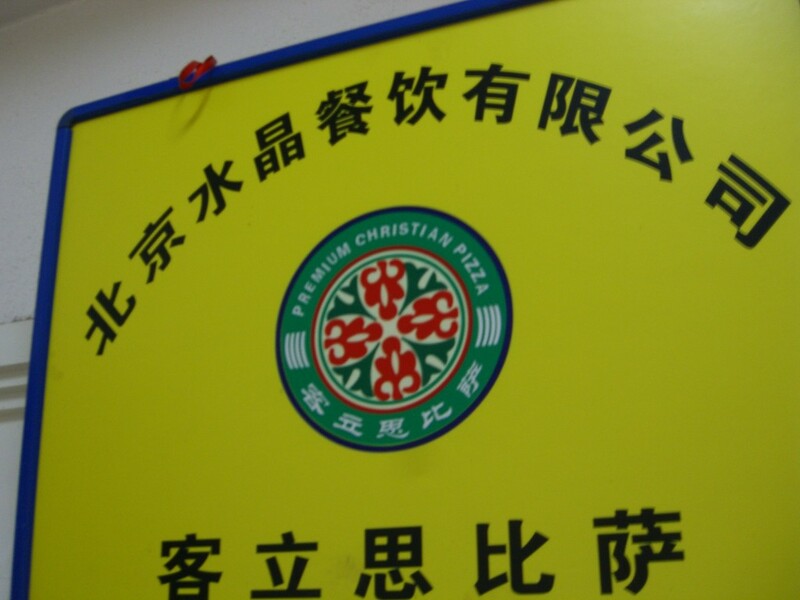 I asked the woman and she said the English use of “Christian” was unknown to her and she was not aware of any relationship to the Christian faith. 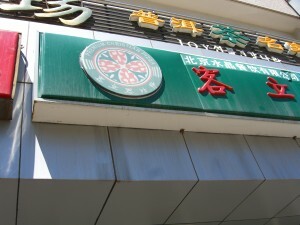 The Chinese name of the restaurant sounds like a phonetic representation of “Christian” rather than a translation of it into “Ji Du Jiao”, which refers to Christianity. 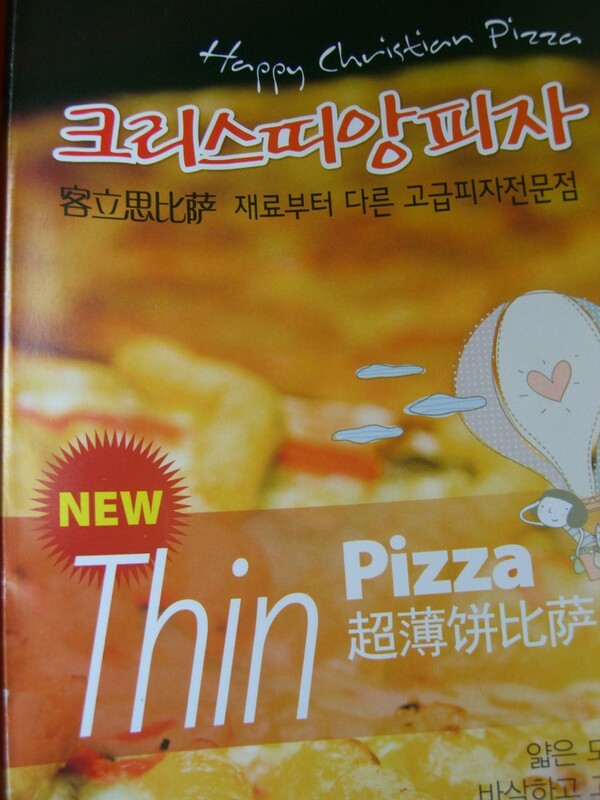 Wangjing is home to lots of Korean expats, so the signage and menus for the Christian Pizza have English, Korean, and Simplified Chinese. 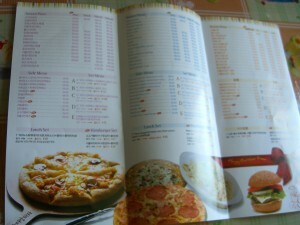 At the top of the menu they say “Happy Christian Pizza”. I will try to find out if “Christian Pizza” has any intention of using our word in its literal sense. But I can be sure that 1, the pizza is not made of Christians; 2, You don’t have to be Christian to eat it.